It’s okay to have questions when it comes to your dental health. After all, most people don’t spend years studying teeth and gums – so asking a dental professional for their opinion is only natural. And when you’re in that dentist’s chair, asking questions is one of the top things you can do to benefit your long-term healthcare. Here are a few of the most commonly asked questions we hear from patients. Do I really need to visit the dentist that often? Even if your mouth is in great condition, the American Dental Association recommends adult patients to visit their dentist twice a year, or once every six months. Regular checkups are a crucial part of prevention – preventing decay, disease and tooth loss. Getting your teeth cleaned regularly by a dental professional ensures that any potential problems are detected early on. What can I do if I’m afraid of going to the dentist? Dental anxiety is common among many people. 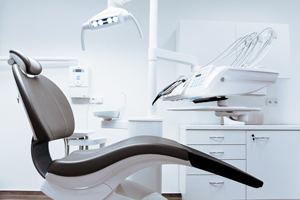 If you find yourself feeling anxious at the thought of having your teeth worked on, you should know that sedation dentistry is a safe, comfortable method to relax patients and alleviate anxiety. Oral sedation makes it possible for you to stop putting off necessary dental cleanings and treatments, and face your appointments with total peace of mind. We get asked about teeth whitening almost every day! The question is tough to answer because there is no one-size-fits-all solution for whitening your teeth. While in-office teeth whitening is the fastest and most efficient way to get whiter teeth, it’s not the only type of procedure available. There are also at-home, over-the-counter and whitening toothpaste options. Our best advice is to ask your dentist which solution they recommend. Is restorative dental work permanent? People commonly think dental restorations are permanent, but unfortunately, this is rarely true. Over time, restorative dental work can break down or loosen, allowing decay to build up. While you can’t expect your fillings and crowns to last a lifetime, there are a few ways you can make them last as long as possible: Regular dentist visits and good oral hygiene. With proper care, you can keep your restorations in great condition for years to come. How can I take care of my smile at home? If you’re considering a smile makeover or any cosmetic dentistry procedure, it’s important to start with a consultation. At Dentistry at East Piedmont, we know each patient’s smile and their goals are unique – which is why we offer a complimentary consultation to determine which cosmetic services are right for you. Do you have any other dental health or dentistry-related questions? Visit our FAQ page for more information, or ask away in the comments!